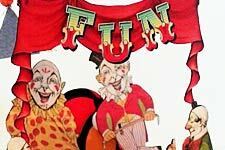 Colorful clowns in some really useful positions (holding things, pointing at things, facing left and right...). And those round designs fit the Medium Spools and 2 Inch Wooden Spools (so you can use the spools as wheels). 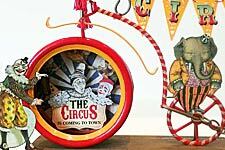 The Circus Is Coming to Town by Laura Carson.